The links below will take you to the recipe if there is one. An * indicates that it’s a new recipe for us, so I can’t personally vouch for it. Generally, I serve most recipes with brown rice, a steamed vegetable, and/or a salad. Pretty exciting around here. 14 – [family dinner night] but I plan to make these strawberry sweet rolls for a fun v-day breakfast! 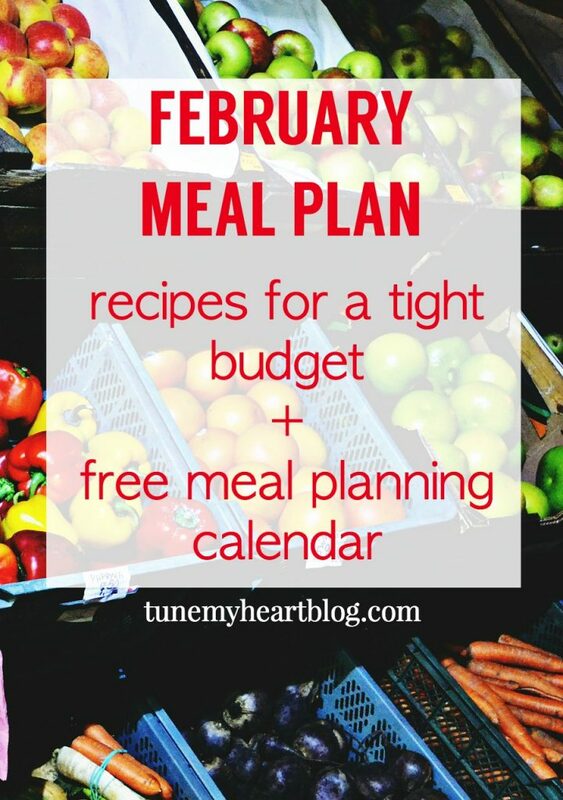 I usually leave the last few days open because often times, meals seem to last longer than I expect for leftovers, or we end up having an extra freezer meal or going on a date or to a friend’s house or something. 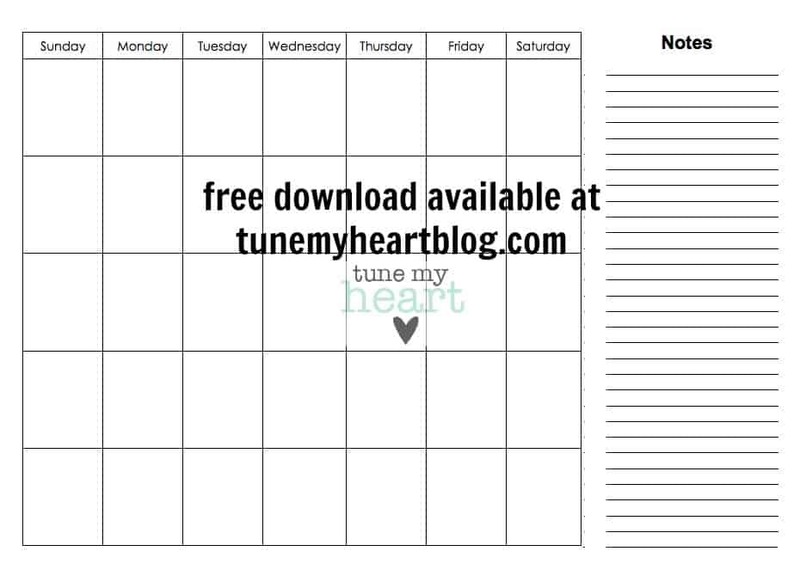 Here’s the monthly meal planning calendar I use, for free download, of course. What new recipes have you tried and loved lately, and what are some of your easy go-tos?